The Maryland senate unanimously passed an ethics reform bill aimed at overhauling the board of the University of Maryland Medical System. 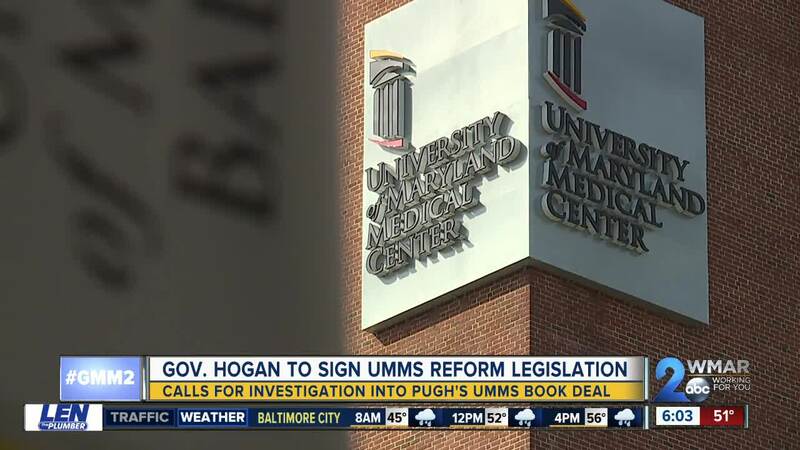 The bill was introduced by Senator Jill Carter (D-District 41) and brought to light Mayor Catherine Pugh's "Healthy Holly" book deal with the UMMS. The house passed its version of the bill Wednesday. The bill forces all current members of the UMMS board to resign and reapply for their positions. It also prohibits no-bid contracts for board members and requires contracting practices be audited. The Maryland senate unanimously passed an ethics reform bill aimed at overhauling the board of the University of Maryland Medical System. The bill was introduced by Senator Jill Carter (D-District 41) and brought to light Mayor Catherine Pugh's "Healthy Holly" book deal with the UMMS. The house passed its version of the bill Wednesday. The bill forces all current members of the UMMS board to resign and reapply for their positions. It also prohibits no-bid contracts for board members and requires contracting practices be audited.